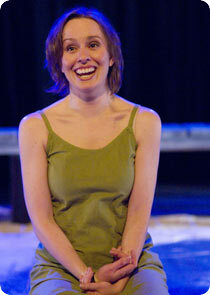 Writer and performer Rebecca Clarke astonished Sydney audiences with the premiere of Unspoken, receiving Best Newcomer and Best Independent Production at the 2005 Sydney Theatre Awards. Raw, candid, and shot through with warmth and humour, Unspoken is a moving performance about family, disability and growing up. Clarke takes the audience on a semi-autobiographical journey from the birth of her brother when she was a teenager, his diagnoses with epilepsy, scoliosis and cerebral palsy, and her subsequent escape to University, where she became enraptured by first love.